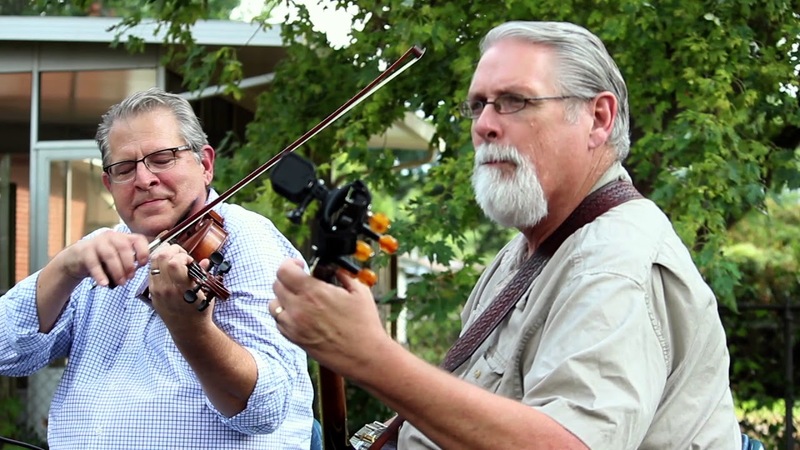 “Fiddle And Banjo” is the duo of Roger Matthews on banjo & Michael Smartt on fiddle. Michael replaced Dan O'Day in October of 2017 when he moved to North Carolina to be close to his family. 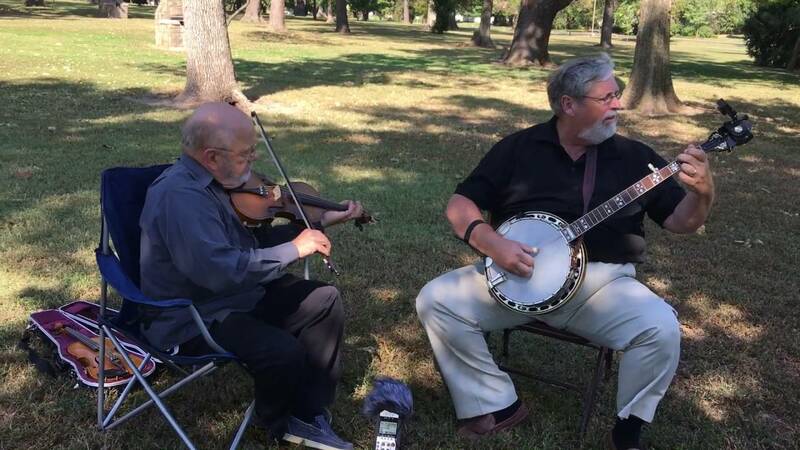 Roger and Michael have found a great partnership as they perform the music played on those instruments that has been passed down for generations. The name says what we are and what we do in three words. What surprises us is that we’re yet to find a group anywhere else with that name”. 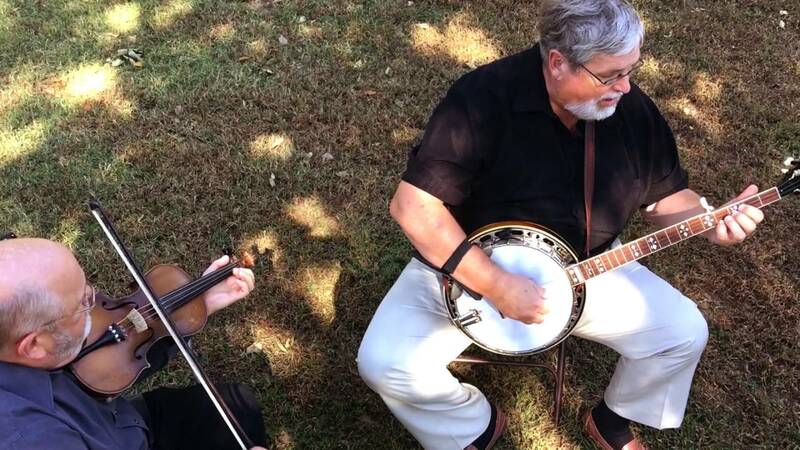 “Fiddle And Banjo” is in many ways a tribute to their individual heroes, Earl Scruggs and Paul Warren. Thank you so much, Conor!! The music was fantastic and Dan and Roger were a pleasure! Best fiddle and banjo players around! Professional, personable and fabulous musicians. All ages were entertained. Skip the drums and all the add on instruments. Fiddle and a Banjo is all you need. You folks were unbelievable hosts. Thank you so very much! Great little band, we enjoyed it! These guys were both professional and very talented! They arrived on time, and played some great bluegrass for us. Besides good music, they provided some historical background on the songs. I highly recommend them, thanks for the great show! It was a pleasure to play for you ladies and gentlemen!!! Fiddle And Banjo played for our daughter and son in laws wedding reception. They were exactly what we wanted and needed for our event. Everyone loved them and thought they did an amazing job! I would highly recommend them to anyone who wants to add that special touch of live music to their event! Thank you very much for your kind words. We could not imagine a more beautiful setting for your beautiful daughter's (and handsome son-in-law's) reception. We will never forget the honor of being a part of it. Thanks for a fun day and a successful event! 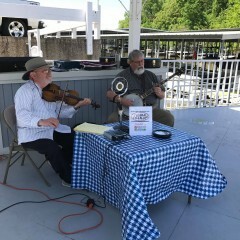 Fiddle And Banjo were perfect for our Derby Day event! Dan and Roger exceeded our expectations, and were a delight to work with. They are amazing entertainers, and very professional and accommodating. Our customers loved their music and enjoyed the atmosphere they created. The pleasure was equally ours...or more so. What a wonderful group of people to play for. Thank you so very much for having us as part of your Derby Day! Dan was so precise with booking details. And then we were overwhelmed by their talent. True professionals. Brought tremendous joy to every age at our party! The joy was ours, Linda!. You and everyone there were so gracious and such fun!! These two guys can turn-up enough music to bring people to their feet right off the starting line. The auto dealership I work for engaged Fiddle and Banjo to provide entertainment for the first of four weekends of a Grand Re-Opening after a major remodel of the dealership. They were attentive to upfront issues of booking, offered some good ideas to the structure of the three hour session and arrive early enough to set-up, tune up, and get set to charm the audience. They delivered, we were very happy with their performance. Jim, a big thank you to you, Mr.Deal, and the Beines for choosing Fiddle And Banjo to be be a part of your Grand re-opening. Continued success! We had a ball!! 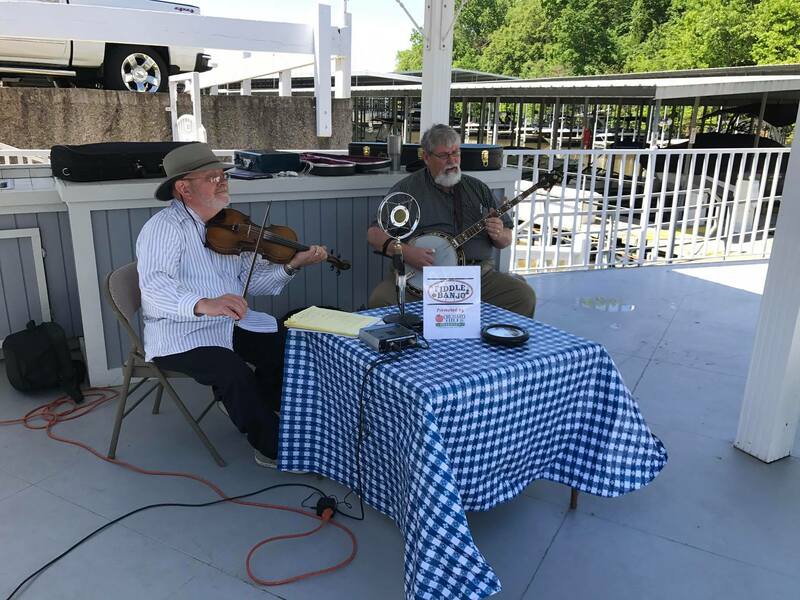 We hired Fiddle and Banjo to play at our Customer Appreciation Cookout at Orchard Hills Pharmacy and Floral in Springfield. We and our guests immensely enjoyed their music and personality. Their fee was very fair and were professional. Would definitely recommend for an enjoyable event! Jeff. You are very kind. It was our honor, and we can say only great things about you, your family, your staff and your customers! Our act depends on the venue. We take two approaches. 1. If primarily background ambiance is desired, we say nothing, play and play and play. We vary the tempos, the lead instrument and are very careful to follow the direction of the client. 2. If the venue is one that lends itself to interaction with the audience (small venue) we will often explain the origin of the tune we play (Sally Gooden for example) was mostly likely called "Boatin' up Sandy" referring to the Big Sandy River in Eastern Kentucky, but got it's name given to it by Confederate soldiers (Morgan's Raiders)in honor of an inn keeper by the name of Sally Goodwin. Or so its told. Roger Matthews is recognized as perhaps one of the best "Scruggs Style" banjo players in the Midwest...if not the entire country. In the Mid 70's, he won the Malibu Mountain Bluegrass festival California banjo championship. Over the years he has played with "Cream of Kentucky". He performed many times at Silver Dollar City starting in 1980 with " Evergreen". He is a original member of Radio Flyer. 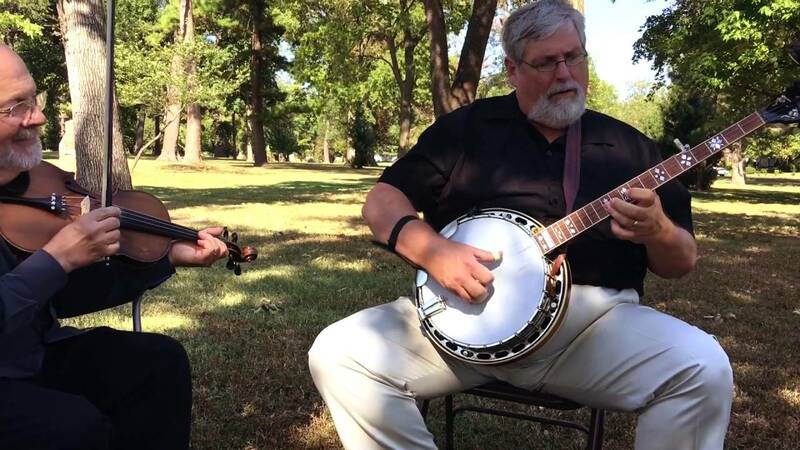 The group Midnight Flight featured Roger on banjo for nearly 20 years toured throughout the country and one year was the winner or Silver Dollar City's single mic contest. Roger is currently the Banjo Player in exclusively gospel group Red Letter Edition. 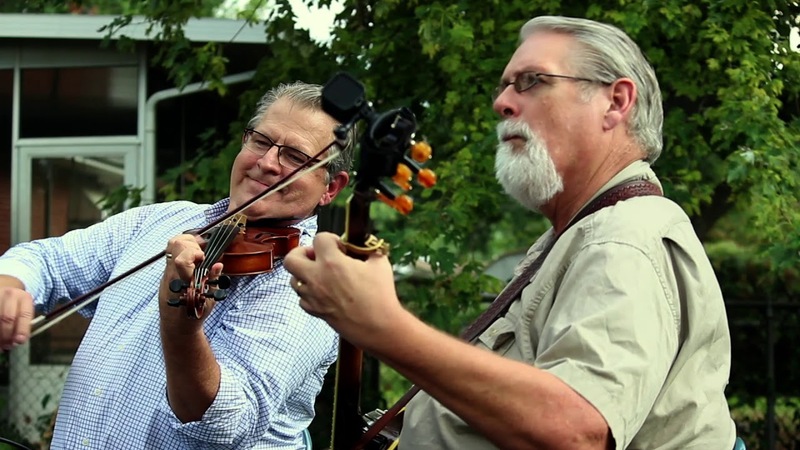 MICHAEL SMARTT is from La Vergne, Tennessee, and grew up in a musical family and began playing the fiddle at the age of 13. He has enjoyed success in the contest circuit and played on a variety stages from local churches to the 1996 Olympics, and eventually at the Grand Ole Opry's Ryman Auditorium. Music opportunities led to his travels in Europe, Puerto Rico, and many U.S. states. In October of 2017, Michael replaced Dan O'Day in the duo. Dan is a big, big fan of Michael's playing and is delighted with the continuance of Fiddle And Banjo. Sometimes we do use not a mic. When we do, we use an Ear Trumpet "Myrtle". Our sound system is a Mackie FreePlay which is ideal for audiences up to about 150. When using systems provided by the venue, all we require is a single mic cord.